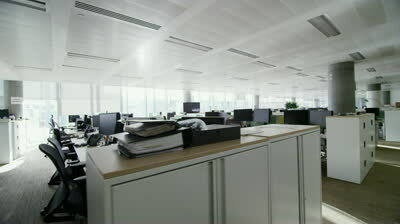 In a recent analysis, commercial real estate services provider CBRE noted that the ever-stronger integration between finance and technology has led to drastic changes in how the concept of a “workplace” is treated: from the classical “cubicle farm” set-up to a more free-flowing model. “It’s undeniable that increasing automation has the potential to lead to some job losses within back-office functions. Nevertheless, these losses are being offset by the growth in compliance and risk management roles as well as a new focus on attracting technology employees,” CBRE head of research (Canada) Ray Wong explained. What this means for the financial services industry is a wholesale move towards workplaces focused on sustainability, versatility, and employee wellness. “The focus will shift from simply gaining the most effective use of office space towards how the office can be used as a tool for attraction and retention of the best talent,” Wong observed. Among the strategies that these firms will deploy include the launching of satellite offices and innovation centres situated nearby tech hubs and universities. In particular, the Toronto commercial real estate market will benefit greatly from this windfall. As a leader in the national financial services sector with over 243,000 fintech employees, the city is expected to account for over 50% of all new job growth in the industry for the next few years.